Paul Bruder, Shareholder at Mette, Evans & Woodside, has been selected to serve on Pennsylvania’s Chesapeake Bay Watershed Implementation Plan, Phase III Stormwater Workgroup. The purpose of the Stormwater Workgroup is to assist the Department of Environmental Protection with development of the Phase III Watershed Implementation Plan for the Chesapeake Bay TMDL. The focus of the Stormwater Workgroup will be on determining what voluntary and mandatory activities will take place between 2019 and 2025 that will reduce nutrients and sediment in stormwater associated with industrial and construction activities and in discharges from municipal separate storm sewer systems (MS4s) and other stormwater discharges. The Workgroup will work collaboratively with other WIP Workgroups and partners to decide upon practical implementation goals for the stormwater sector. The Workgroup will be responsible for drafting and assisting DEP in the drafting of a Stormwater section of the Phase III WIP. The Commonwealth Court of PA decided in favor of the client represented by Attorneys Farrell and Edwards, that the Workers’ Compensation Judge does not have jurisdiction to review a Utilization Review Determination where the Provider under review fails to provide medical records to the reviewer. The Court also held that denying the Claimant the right to a hearing did not violate the Claimant’s right to due process because the Claimant does not have a property interest in his future medical treatment. A utilization review doctor did not violate the due process rights of an injured worker by denying a medication and injection regimen after a treating physician failed to submit medical records to justify the treatments, the Commonwealth Court of Pennsylvania decided Friday. Michael Farrell, one of the Mette, Evans & Woodside attorneys representing Fisher Auto Parts’, argued that because the utilization review doctor had deemed the Claimants treatments no longer reasonable or necessary, the Claimant no longer had a property right to them. The Workers’ Compensation Appeal Board sided with Attorneys Farrell and Edward’s client, overturning the order of a workers’ compensation judge who decided that the Claimant had proved he needed the treatments. The WCAB said that the judge lacked subject matter jurisdiction over UR denials due to a lack of medical records. Timothy Allison (Claimant) petitions for review of an adjudication of the Workers’ Compensation Appeal Board (Board) holding that the Workers’ Compensation Judge (WCJ) lacked jurisdiction to hear Claimant’s appeal of a utilization review determination. In this appeal, we consider whether a WCJ has jurisdiction to review the reasonableness and necessity of Claimant’s medical treatment where, as here, Claimant’s provider did not provide medical records to the utilization review organization (URO) but a peer review report was nevertheless prepared. We also consider whether the Board violated Claimant’s due process rights by denying Claimant a right to appeal the URO determination. Harrisburg, PA – Mette, Evans & Woodside announces that attorney Brian Hinkle was named a Shareholder with the law firm as of January 2018. Brian joined the firm in January of 2014. Brian is dedicated to guiding his clients with proactive legal planning and focuses his practice on estate and trust planning, business succession planning, long-term care and special needs planning, business formation and mergers and acquisitions. He is a frequent and enthusiastic presenter to the community and to the legal profession on the topics of estate and trust planning, long-term care planning and business succession. Brian also serves as an adjunct professor at Widener University Commonwealth Law School in Harrisburg, PA.
Mette, Evans & Woodside has a long-standing tradition of providing comprehensive legal representation in Litigation, Estates and Trusts, Business and Real Estate. Founded in 1969, the firm provides clients throughout Pennsylvania with sound legal counsel for all facets of their professional and personal life. For more information, visit www.Mette.com. 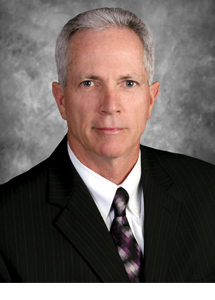 The law firm of Mette, Evans & Woodside announced that attorney Paul J. Bruder has joined the firm as a Shareholder. Over the course of his career, Mr. Bruder practiced at Rhoads & Sinon for 20 years where he served as the Chair of its Environmental Practice Group, as well as with the Pennsylvania Department of Environmental Protection. Mr. Bruder has established himself as a leader in the field of environmental, natural resource and energy law. His legal practice includes working closely with municipalities, land developers, the construction industry, and the agricultural community. Mr. Bruder joins Randall Hurst to form perhaps the most experienced and well-rounded environmental legal team in central Pennsylvania. Paul received his law degree from the University of Dayton School Of Law and is a graduate of Lebanon Valley College. He is admitted to practice in Pennsylvania as well as the United States District Courts for the Eastern and Middle District of Pennsylvania. Mette, Evans & Woodside has a long-standing tradition of providing comprehensive legal representation in Litigation, Estates and Trusts, Business and Real Estate. Founded in 1969, the firm provides clients throughout Pennsylvania with sound legal counsel for all facets of their professional and personal life. For the eighth consecutive year, Mette, Evans & Woodside has been named as a Best Law Firm by U.S. News & World Report. The 2018 first-tier ranking for the Harrisburg, PA metropolitan area is for the firm’s work in the Trust and Estates practice area. To be eligible for a ranking, a firm must have a lawyer listed in The Best Lawyers in America, which recognizes the top 4 percent of practicing attorneys in the United States. Harrisburg, PA – The law firm of Mette, Evans & Woodside is pleased to announce that Attorney Thomas M. Fraticelli has joined the firm in an Of Counsel capacity. He is admitted to practice in all courts of the Commonwealth of Pennsylvania, the U.S. District Courts for the Middle and Western Districts of Pennsylvania, as well as the U.S. Court of Appeals for the Third Circuit. Mr. Fraticelli received a B.B.A. degree from the University of Massachusetts and a J.D. degree from Villanova University Law School. “Having an attorney with Tom’s knowledge, community service background and experience is a tremendous resource for Mette, Evans & Woodside,” said President Timothy A. Hoy. Mette, Evans & Woodside has a long-standing tradition of providing comprehensive legal representation in Litigation, Estates and Trusts, Business and Real Estate. Founded in 1969, the firm provides clients throughout Pennsylvania with sound legal counsel for all facets of their professional and personal lives. For more information, visit www.mette.com. Mette, Evans & Woodside is partnering with RSVP of the Capital Region for a children’s book collection drive. Collection of new and gently used books for children ages 4 to 12 will begin on September 11th and continue through October 27th. Collection bins will be available at over 10 locations throughout the area including: Mette, Evans & Woodside, Capital Blue Cross, East Shore and West Shore YMCA, Dauphin County Bar Association and First National Bank in Lemoyne. A complete list of locations can be found at www.mette.com/childrens-book-drive. The donated books will be distributed at after school tutoring and pre-K programs to children to encourage reading. 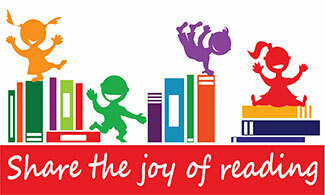 “Children who read at home and have access to books are more likely to do well in school. This book drive will help get more books into the hands of the children in our community,” said Kathi Simpson, attorney with Mette, Evans & Woodside. According to the Literacy Project Foundation, 6 out of 10 households do not buy a single book in a year. Donating books provides an opportunity for a child to grow a love of reading and increasing the likelihood of their success in school and life. Mette, Evans & Woodside takes pride in the firm’s involvement in the Central PA community and has a long-standing tradition of providing comprehensive legal representation for businesses, individuals and municipalities. Founded in 1969, the firm provides clients throughout Pennsylvania with sound legal counsel for all facets of their professional and personal life. More information is available at www.mette.com. 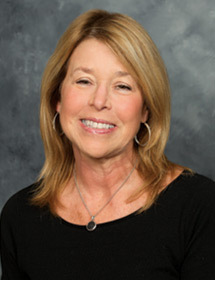 Kathryn L. Simpson, a Shareholder with Mette, Evans & Woodside, was elected President of the Honorable William W. Lipsitt American Inn of Court. The mission of the American Inns of Court is to promote excellence, civility, professionalism, and ethics in both the legal profession and advocacy. 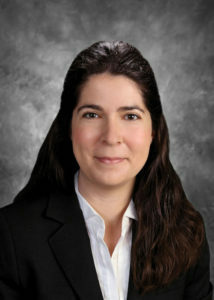 Ms. Simpson’s legal practice focuses in Commercial Litigation, Employment Law, Health Law and Mediation & Arbitration. For the past eight years, Simpson has been named one of the top attorneys in Pennsylvania by Super Lawyers. The American Inns of Court aims to promote ethical values from one professional generation to another as well as expand a meaningful relationship among their members. In addition, they strive to facilitate the development of law students and less experienced lawyers as skilled participants in the American judicial system. More information can be found at the Inns of Court website www.innsofcourt.org. Mette, Evans & Woodside has a long-standing tradition of providing comprehensive legal representation for businesses, individuals and municipalities. Founded in 1969, the firm provides clients throughout Pennsylvania with sound legal counsel for all facets of their professional and personal life. 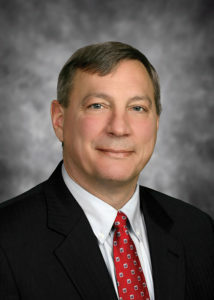 The law firm of Mette, Evans & Woodside is pleased to announce that Attorney Michael A. Farrell has joined the practice. Mr. Farrell has been practicing in the field of insurance defense litigation, for thirty-two years. He has focused his practice in defending employers and insurers in workers’ compensation matters. He is certified as a specialist in the practice of workers’ compensation law by the Pennsylvania Bar Association’s Section on Workers’ Compensation Law as authorized by the Pennsylvania Supreme Court. 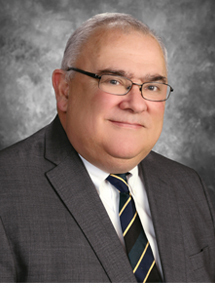 Mr. Farrell is admitted to practice in all state courts in Pennsylvania, as well as the United States District Courts for the Middle and Eastern Districts of Pennsylvania. He is also admitted to practice before the Third Circuit Court of Appeals. 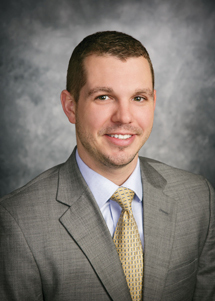 He is a member of the Dauphin County and Pennsylvania Bar Associations, where he is also a member of several sections related to workers’ compensation and civil litigation. 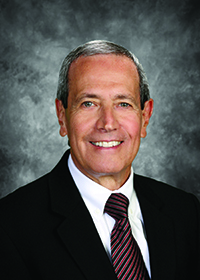 He has published several articles and has taught several seminars relating to Pennsylvania Workers’ Compensation Law. 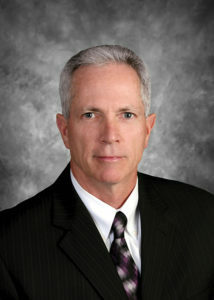 The law firm of Mette, Evans & Woodside is pleased to announce that Attorney Michael D. Reed has joined the practice. Mr. Reed has been practicing in the fields of construction law and litigation, as well as general commercial litigation and administrative and procurement law, for thirty-six years. He also has extensive experience in mediation and arbitration, both as an advocate and as a neutral. He is certified as a mediator in the United States District Court for the Middle District of Pennsylvania and has also completed the course work for mediator certification in the State Supreme Court of Virginia. Mr. Reed is admitted to practice in all state and federal courts in Pennsylvania, as well as the United States District Courts for the Middle and Eastern Districts of Pennsylvania, the Third Circuit Court of Appeals and the United States Supreme Court. 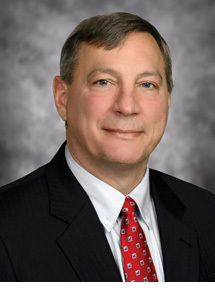 He is a member of the Dauphin County and Pennsylvania Bar Associations, where he is also a member of several sections and committees related to litigation and Alternative Dispute Resolution. He has published numerous articles and taught several seminars on construction law topics. He is a former Assistant Counsel to the PA Department of Transportation, and served as Chief of Litigation for the PA Department of General Services.